Fighting for justice and equality has been part of my life since the late 80's. That continues today inside the courtroom as a Civil Rights Attorney, and also outside of the courtroom as a community lawyer. Serving as Durham District Court Judge is something I desire and feel is necessary for the betterment of the community I live and serve in. Opportunity, Accountability, and Equity in our court system are vital elements to healthy, safe, and thriving communities. Durham, North Carolina values the ability of all its residents to "live, work and play" here in a safe and friendly environment. Our courts play a decisive role in our ability to attain that goal. My body of work speaks to my commitment to all of these and many other issues facing this community. It is time for Durham to elect a judge who has a proven track record working with community, fighting for community, and who believes that people are not the sum of their worst mistakes. "We can only do this if the court process is applied fairly to every person that comes in contact with our justice system. We can only do this if we hold people accountable in an equitable fashion. Dave is a graduate of Manhattanville College, Purchase, NY, North Carolina Central University’s School of Law, and NCCU’s Master’s program at the School of Business Administration. 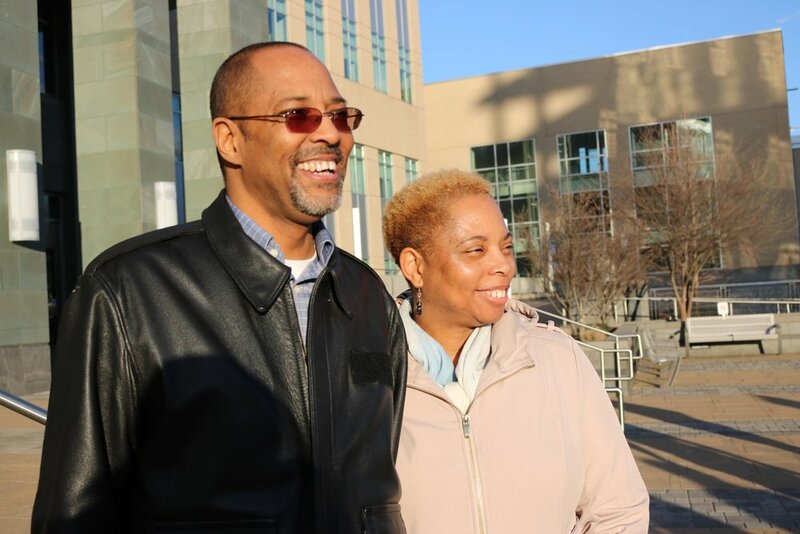 Dave decided to go to law school when he learned first-hand that community lawyering could protect communities of color from the damage done by government-funded gentrification in Charlotte, where he previously lived.